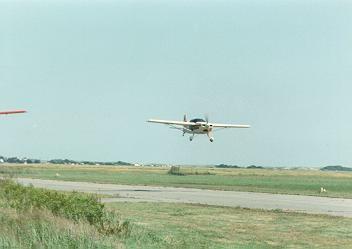 A low pass at "high" speed over the lovely historic airport at Plum Island. I was trying to impress my ultralight pilot buddies. Looks great, doesn't it?